The Audionet DNA I combines extraordinary performance and peerless sound quality with compact dimensions. With its universal interface to access your digitally stored music, it’s an audiophile powerhouse for bits and bytes. The Audionet DNA I changes all kinds of binary music data into an exhilarating and intoxicating listening event. bytes to a tremendous and vigorous experience for the senses. 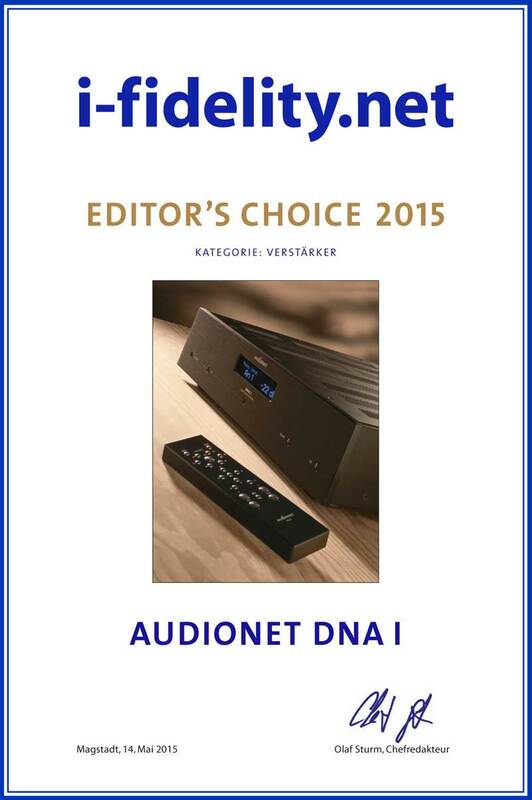 Audionet’s DNA I allows an ease of use that is uncommon in the high-end audio world. 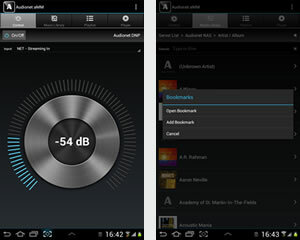 (Audionet aMM – Audionet Music Manager for Android, Audionet iMM – Audionet Music Manager for iOS). The Audionet DNA is able to be fully integrated into a network and operated entirely by a PC or Mac. Our in-house developed software RCP (Audionet Remote Control Point) allows the user to organize complex functions and settings effortlessly through a GUI (graphic user interface).The RS-232 interface allows in addition for professional integration into home automation systems. At long last it can also be controlled in the classic way with the Audionet System Remote Control. The DNA I is capable of receiving its data from the Internet radio, USB Audio interfaces, HDD, USB-sticks/drives, analogue sources and can be fitted with a first-class phono preamp. The DNA’s optical link output allows for remote switching of other Audionet components, and it offers a network phase detector. The Audionet DNA I offers universal connectivity. For digital signals we have provided 5 digital inputs altogether, from WLAN, LAN to USB and USB Audio to electrical and optical S/PDIF. For the analogue signals it offers 3 pairs of gold-plated RCA inputs. The circuit design is elaborate, technically unique and rigorously implemented. The power supply is strong and fast: a 700 VA toroid transformer, dedicated capacitors with a large total smoothing capacity of 96,000 µF; incorporating low ESR, a special highly effective power input filter, and – last but not least – an optimized circuit design with short paths and low intrinsic capacitance ensuring the powerful and fast-acting characteristics needed for pure, clean power – and sound – delivery. The digital section of DNA I is separated from the analogue base board to reduce effectively disturbances caused by the digital high frequency signals. The digital to analogue converter supports digitals signals up to 192 kHz / 24 bit. The ultra-linear circuitry is designed for exemplary distortion-free, high-speed and stable sound. 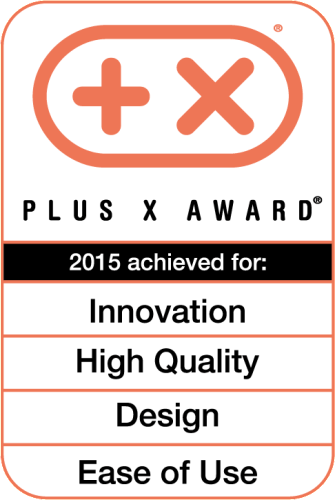 Sound-damaging influences have been almost entirely eliminated, exemplary reproduction stability is guaranteed. We use only the best materials; carefully selected high-grade components such as audio-grade capacitors with a silk / hemp dielectric; high quality, close-tolerance film impulse capacitors and highest-quality rhodium speaker terminals.